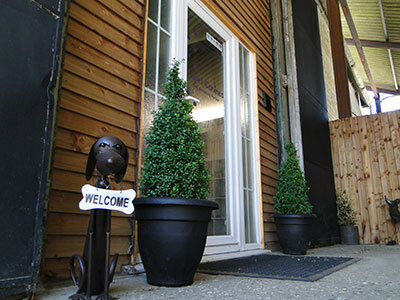 Capel Canines Doggy Daycare and Grooming is located in the village of Capel St Mary. We are 4 miles south of the Copdock Interchange. We have easy access onto the A12 to the towns of Ipswich, Colchester and surrounding areas on the Essex / Suffolk border. From Colchester exit the A12 for Capel St Mary (slip road for Bypass Nurseries). Make an immediate left turn into Capel Grove, follow this for approx. 400 metres down our private lane before arriving at the Centre. From Ipswich leave A12 at junction 32a for Capel St Mary / Bentley. Take the 2nd exit at the roundabout and pass under the A12. Take the next Left after the Murco Garage into London Road. Follow London Road passing Bypass Nurseries on your Left. At the end of London Road, go straight ahead into Capel Grove. Follow this for approx. 400 metres down our private lane before arriving at the Centre.